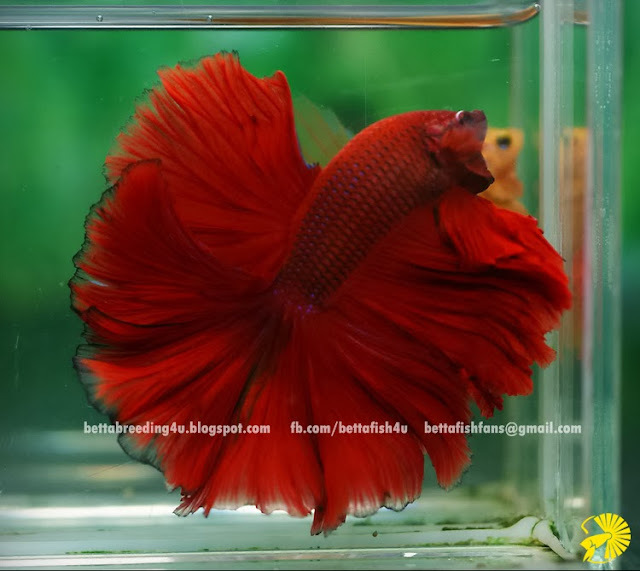 Have you ever seen a betta fish like this one ? 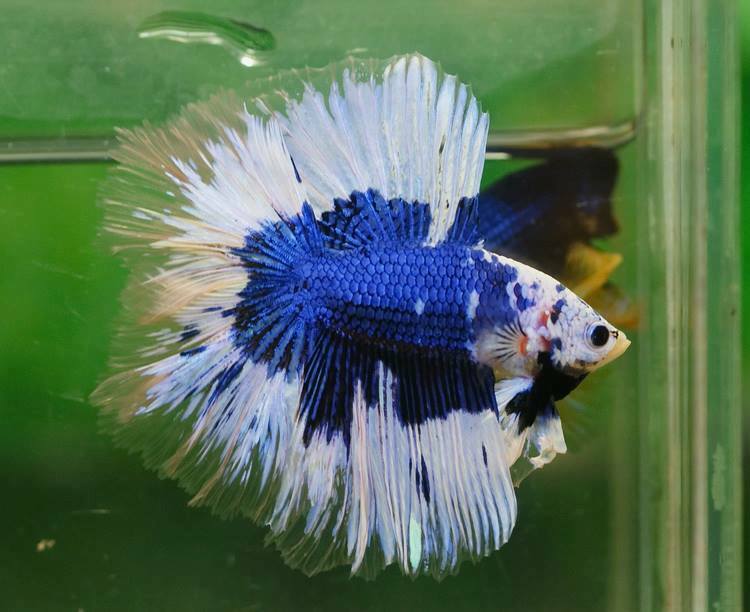 One of the elegant betta fish available in the market. One at the top is a male and one next to it is a female. 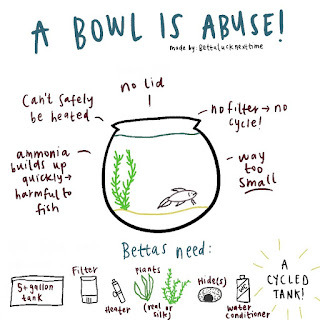 Traveling with bettas is stressful, there's no doubt about that! 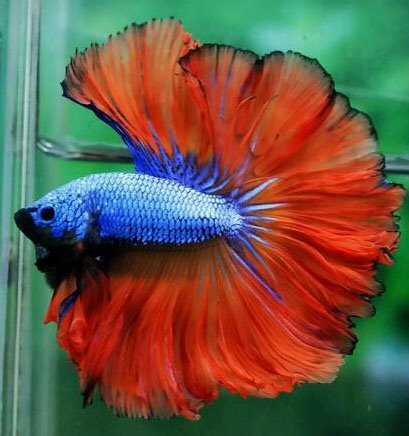 The male betta is the more colorful of the species. A male may have one of several body colors and the same or different, sometimes various, tail colors. Bettas are quite territorial and don't like to share their habitat or territory with other bettas, be they male or female. 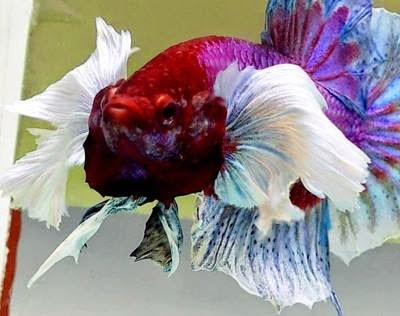 The male betta is an interesting little critter: He sleeps lying down and has "ears" and can hear in a way other fish cannot. 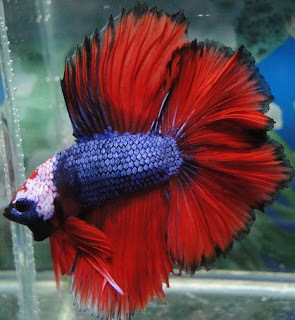 The male betta is responsible for creating the bubble nest where the fry will live and be protected. Male bettas are intelligent, curious and personable fish; anyone who has had one will attest to their unique personalities and characteristics. Males can be trained to perform a variety of tricks such as eating out of your hand or leaping through a ring like Shamu. The female betta is decidedly less flamboyant than the male. 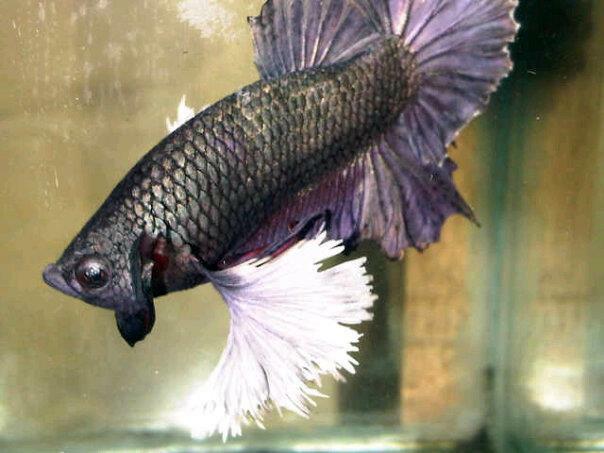 Her fins are much shorter, and her coloration is muted in comparison with that of the male. The female has visible spots, called "egg spots," that look like grains of salt sprinkled under the female's belly. 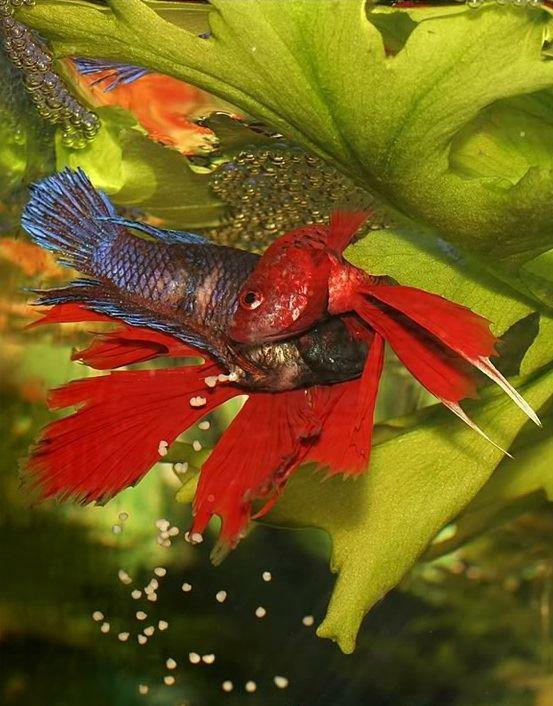 The female pretty much just hangs out while the male is busy making the bubble nest. Do not house males and females together until just before mating. 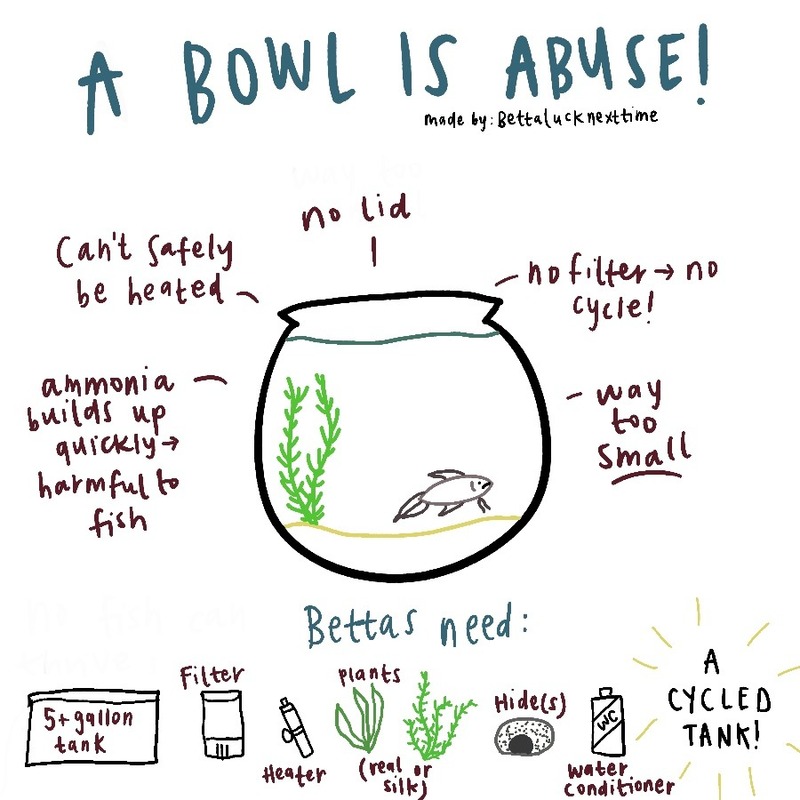 Place them in the same tank only when breeding is imminent. There should be plenty of hiding places for the female, because the male is territorial even in the presence of a female betta. Living or silk plants provide hiding places. 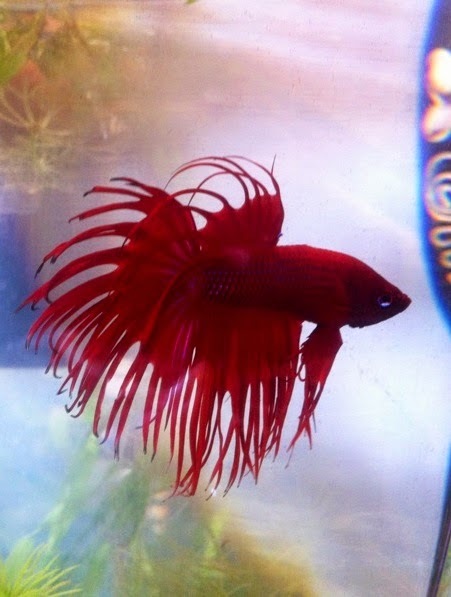 Don't use plastic plants, which could damage delicate fins. Place males and females together only when the time for mating is near. You will know the female is ready when vertical stripes appear on her body. 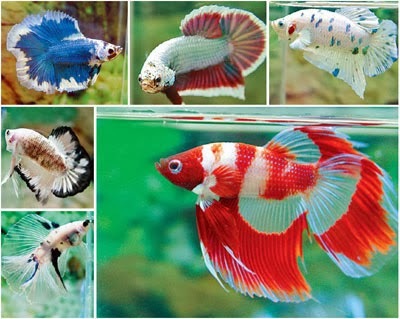 If the male and female bettas are house in such a way that they can see one another, as in a large tank with a separator or two tanks that share a glass wall, the time will come when the female will begin to show vertical stripes and may begin to shed eggs. The male will begin to build a bubble nest. When the time for breeding is evident, place them together in a single tank. Well-fed, healthy females produce eggs most of the year, with no certain time of the year being any better than another time. Sometimes the female will release eggs without mating, and sometimes she will become eggbound, all natural incidents that should not alarm you. 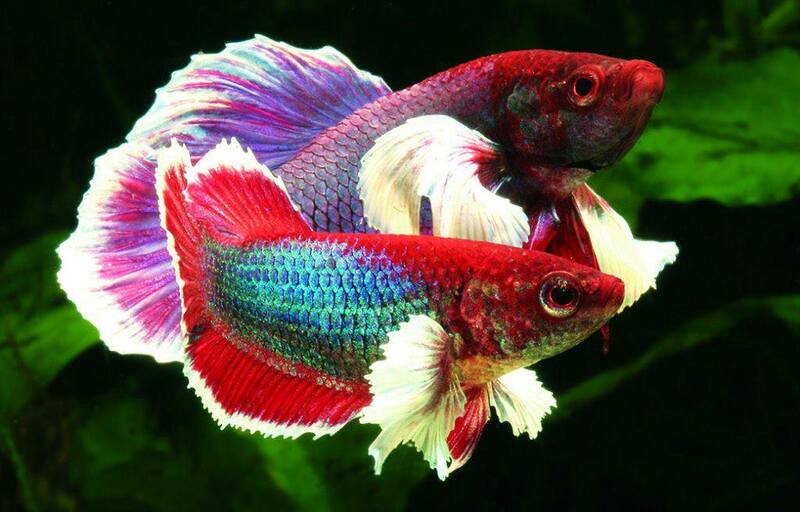 Move the female betta to the male's tank or move the two fish together to a third tank. Place them in such as way that they can see one another but cannot touch. 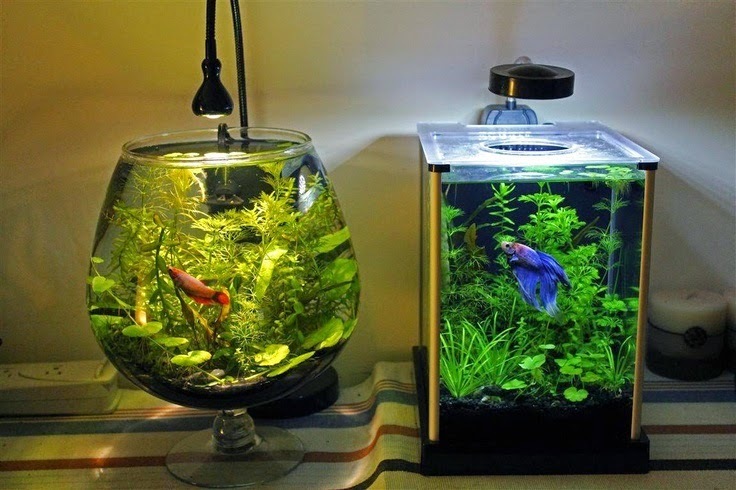 Some people use hurricane lamp glass placed inside a tank, with the female in the hurricane glass so the two can see one another until it's time for a safe introduction. 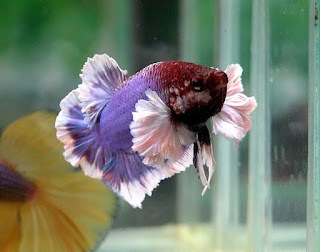 When the fish are introduced, the male will lead the female over to the bubble nest and begin the act of fertilization. The male wraps his body around the female and hold that position for a time, squeezing the eggs out of her body. After the "hug," the male will chase the female away -- or the female will make her escape -- and begin to herd the eggs toward the bubble nest. The male will tend to the nest until the eggs hatch and the fry are ready to live on their own. I wish everyone could know this. Every time I see the betta at the pet store, I always think that they need bigger tanks and air! 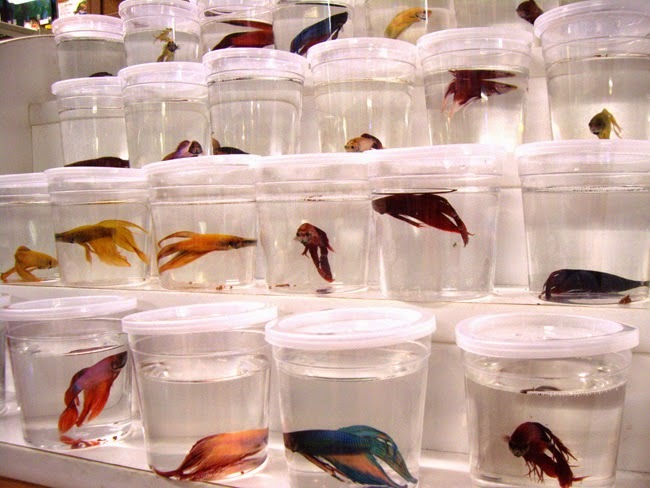 The poor fish look like they are dead, they just sit in the tiny few cups of water. 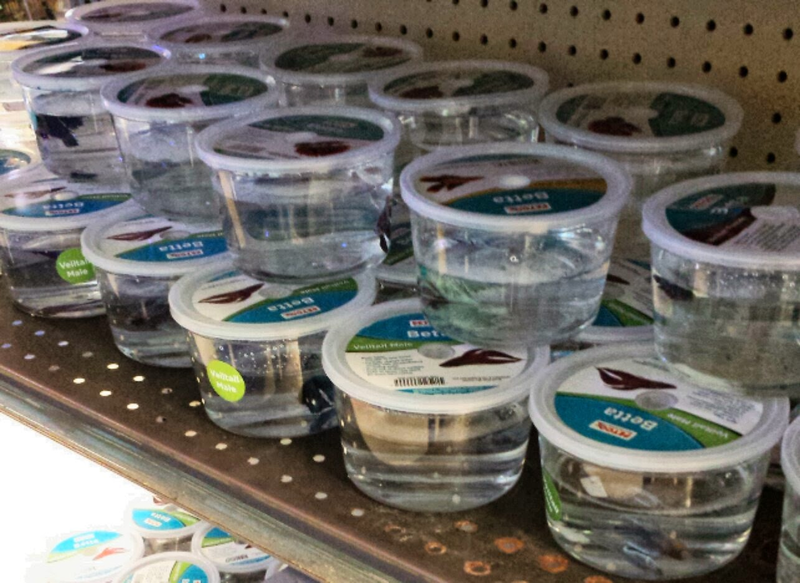 Sad to see they’re still the common peasants of the aquarium aisle, and they've been downgraded to living in take-out containers. © BettaFish4u 2013 . Powered by Blogger .